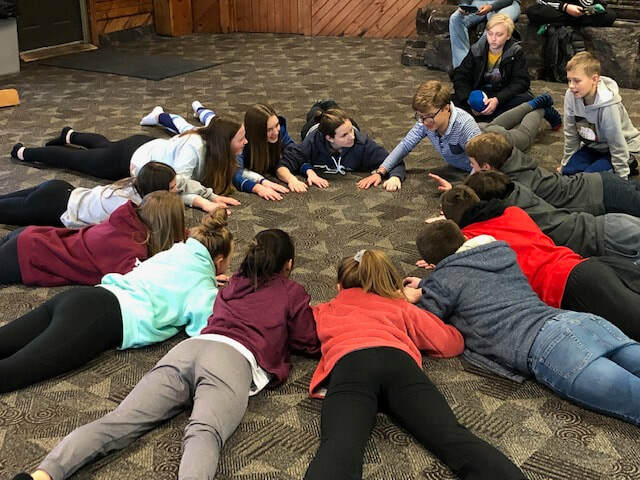 St. Michael’s confirmation ministry is a journey of self-discovery, deepening faith, and building authentic relationships with other youth and trusted adults in the congregation. The two years of confirmation (grades 8-9) are a time of learning and preparation for the Affirmation of Baptism (Confirmation service) in the fall of their sophomore year, when young people claim for themselves the faith in which they were baptized. Our confirmation ministry is designed to help young people understand that they live each day in the embrace of God's grace and love for them. Gain a deeper understanding of the Bible, Luther's Small Catechism and Lutheran theology. Develop relationships with their peers, the pastors and other adults. Add insight and skills in using their faith to help understand and make healthy choices regarding the challenging issues they face daily. Each confirmation student is paired with a trusted adult in the congregation for their two years of confirmation. Monthly mentor nights take the place of classroom learning.